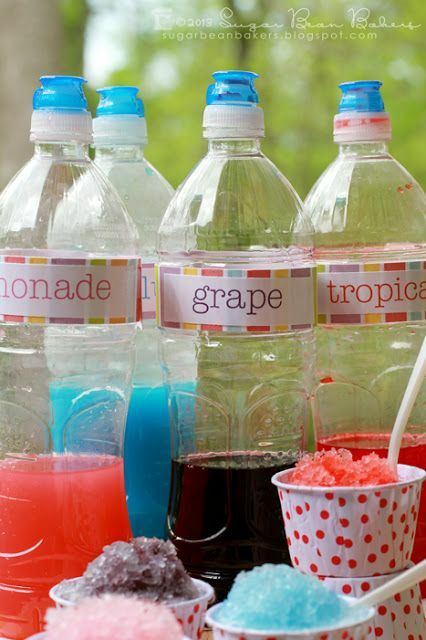 Creamy, Dreamy Snow Cones with Homemade & Real Fruit Syrup July 7, 2013 by Jessika 1 Comment We may earn money or products from the companies mentioned in this post.... I made the other two snow cones, and I put them on the table. Joe stirred and stirred his, like a kid who wants to make it look like he's eaten some of his peas without actually ingesting any. Grace decided that her snow cone would be better with sprinkles. I made the other two snow cones, and I put them on the table. Joe stirred and stirred his, like a kid who wants to make it look like he's eaten some of his peas without actually ingesting any. Grace decided that her snow cone would be better with sprinkles.